JaysJam! 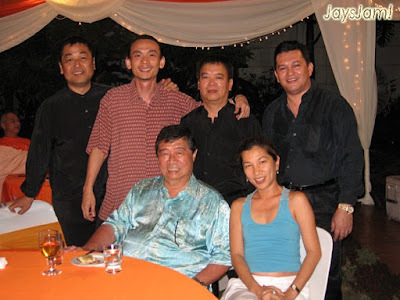 singers and musicians were specially invited to perform at Datuk Ling's birthday dinner on the 11th May 2008. 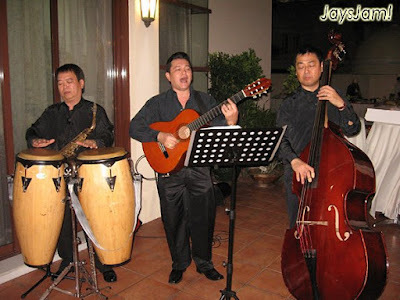 With Charles on vocals/guitar, Jerry on vocals/congas/flute/alto saxophone and Nasir on vocals/double bass. 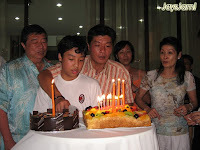 For those of you who are Malaysians, I'm sure you will be able to identify VIP's below. 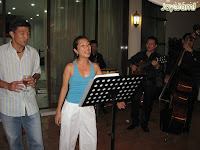 There were also a few guest singers that came up to jam and had a good time belting out their favourites Songs with the band.